My semester is about to kick off the way it customarily does, with my university’s annual Teaching Day. I sometimes speak at this kind of event at other schools, so I know that a day like this, when it goes well, can be one of those treasured and too-rare times when we faculty set everything else aside and just concentrate on teaching. And like the ones at other schools, our event is typically anchored around a keynoter with deep expertise in the mechanisms that drive learning. This year, we look forward to hearing from Saundra McGuire; in previous ones we’ve enjoyed hosting other stars in the teaching and learning space including Mark McDaniel and James Lang. Stars or no stars, this kind of professional development experience is worthwhile because it can inject some new energy into teaching, a part of our professional lives in which staleness, routine, and just getting by are all too easy to slip into over time. Just as importantly, these experiences can also inject new knowledge. Teaching may be as old as civilization, but especially today, it’s changing, partially because of the rapidly expanding knowledge base on how people learn and blossoming interest in incorporating these learning sciences into what we do. On the flip side of getting people interested in learning sciences is a surge of interest in the misconceptions people – especially teachers – have about learning. Neuromyths are one area in particular where researchers have honed in on some shockingly common misunderstandings about basic, and potentially consequential, aspects of mind and brain. The term itself is pretty self-explanatory, having to do with ideas that may be commonly believed but are most likely wrong. Classically, neuromyths have to do with ideas such as that we use only 10% of our brains or that people can be neatly sorted into left-brained or right-brained thinkers. Neuromyths can also include other, less immediately recognizable facts-that-aren’t-facts, such as the idea that we can train ourselves to multitask, that male and female brains differ dramatically, or that the adult brain contains all of the neurons it will ever have. The tremendous range of misconceptions about the brain and learning, along with where neuromyths come from and why they persist, is the focus of a deeply researched new book by researcher and education professor Tracey Tokuhama-Espinosa. Like an intellectualized version of lurid urban legends, neuromyths take on a life of their own, propelled by factors such as wishful thinking or what Tokuhama-Espinosa memorably terms bandwagonitis, essentially the pressure to hop on board a trend that everyone else seems to be riding, lest you be left behind. Of all the things that Tokuhama-Espinosa says about neuromyths, one in particular stands out: Myths do harm. That’s the author’s blunt, but entirely tenable assessment of why it matters when teachers believe incorrect things. The tenacious and damaging learning styles myth is a case in point. It’s been a while since I’ve heard this notion endorsed by university faculty, something that I think is an encouraging sign that key principles from learning sciences are making an impact. Overall, in my dealings with instructors over the past five years or so, I’ve seen other good signs that the right information is getting to the right people, for example, in the increased awareness of the importance of retrieval practice and tests for learning. As I talked about in this recent podcast, today’s faculty are increasingly more interested in, and more conversant with, evidence-based teaching – something that is great news for our students. But I can’t say the same about upper-level university administrators. With the caveat that this is only my own experience, I’ve heard some influential leaders endorse misguided ideas about mind, brain, and learning, ideas that are all too familiar to anyone versed in neuromyths. Of course I find this worrisome. Who wouldn’t, given that these are the very people who make the decisions and set the directions for entire campuses? It’s worrisome, but not surprising. Nor is it something I even really blame them for. Perhaps even more so than faculty, today’s academic leaders have overstuffed work portfolios that leave little time or energy to keep up with basic advances in learning sciences, let alone to do deep reflection on how that science should inform their work. And also like many faculty, unless they come from a background in a learning science-related discipline, they are going to run aground on the jargon and sheer information overload that make fields like cognitive psychology so hard to sift through and apply. And as Tokuhama-Espinosa lays out in her book, there are multiple compelling reasons why myths take root and blossom. Why should academic leaders be any more resistant than the rest of us to the siren call of these tantalizing and often-repeated notions? But still: Myths do harm. And it stands to reason that myths in the minds of people with outsize influence on a campus will do an outsized share of harm. The good news is that these myths can be addressed with the right kind of outreach, materials, and professional development experiences. For example, a worldwide survey[i] of faculty, administrators, and instructional designers that my colleagues and I are working on right now reveals some intriguing associations between activities like attending workshops or doing self-directed reading and resistance to key misconceptions about learning. The other good news is that in the hands of leaders with real clout, learning science can make an even bigger impact. They can champion campus wide initiatives to support the kind of course design and pedagogy that works with, not against, mechanisms of learning. They can advocate for instructional technology and online ed in ways that don’t just obsess about tech for its own sake or portray online programs as cash cows. They’ll support innovation because they take access to learning seriously, and will see the technology as a way to get there. Then there are all the other decisions large and small where informed leadership matters. The books that are chosen for reading groups. The speakers chosen to facilitate programs run by campus teaching and learning centers. Whether there even is a campus teaching and learning center. All of these will play out differently when the people in charge are dialed in to the science. There is a lot that leaders can do, for good or ill. They may not be physically present in the classroom, but their influence certainly is. We can bring rock stars to campus to share what they know, and that’s a wonderful thing. But academic leaders need to do more than underwrite events like these. They need to be there. Not just to welcome, convene, and endorse – but to engage, to do the work, and to actually change their practice based on what they learn. Just like the faculty. [i] Stay tuned for more developments as we prepare to make our first round of findings public – soon! 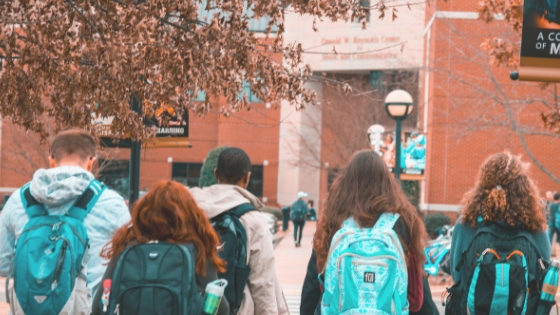 Previous Post Overtesting in K-12 is ruining one of the best things we can do for college students, and we need to talk about it. Next Post A new replication study revives the question: Is taking notes by hand really better for students?